Pew Heartbleed survey: Americans still aren't that concerned about cybersecurity. Even though Heartbleed is up there with the all-time worst cybersecurity vulnerabilities and got a lot of press that said as much, only 39 percent of Internet users took action to protect themselves, and only 29 percent actually thought their personal data was at risk. According to a Pew survey of 1,501 Americans conducted last week, 64 percent of U.S. Internet users knew about Heartbleed. Awareness of cybersecurity and personal data protection is growing in the U.S., partly due to revelations about National Security Agency surveillance. 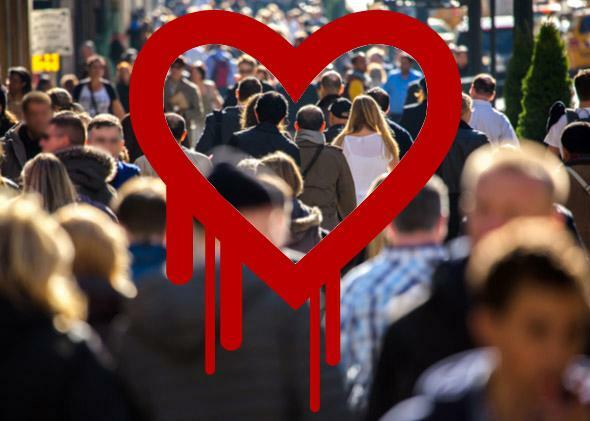 But when a third of Americans haven’t even heard about Heartbleed and more than that haven’t done anything to protect themselves, it’s clear that the topic isn’t on everyone’s mind yet. For comparison, in an earlier Pew survey, 88 percent of Americans reported hearing “a lot” about the 2012 Newtown shootings. And in the same survey that asked about Heartbeed, 46 percent of adults said they had heard “a lot” about tensions between Russia and Ukraine, but only 19 percent reported hearing “a lot” about Heartbleed. It’s important that news about vulnerabilities spread as widely as possible so people can learn about threats to their digital security and at least be informed in their decisions to address the problems or not. The more people patch something or take other protective steps, the less enticing the flaw is for hackers looking to steal data on a large scale. The Pew results don’t exactly paint a picture of Americans dropping everything to prioritize cybersecurity, but you can still look at them as promising. It just may take a few more damaging incidents to really shock people into understanding the urgency.